Looking to stay warm and toasty!? 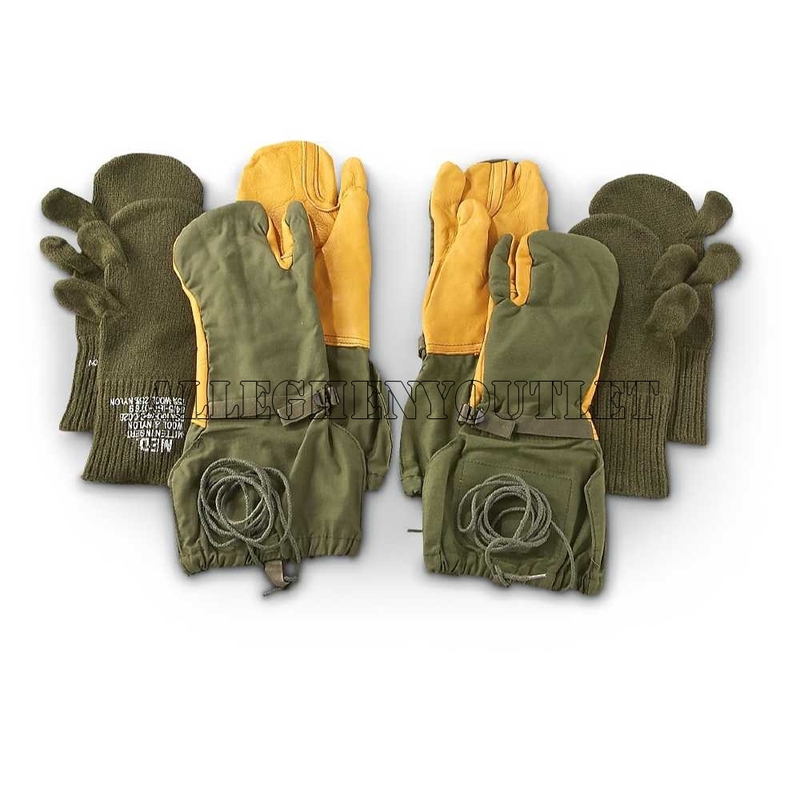 These Genuine Military Mittens and Liners are your best investment! These Extreme Cold Weather Mittens will keep you comfortable in below zero temperatures, giving you a touch of gold when locking in on your target. The best of the best for the US Military. 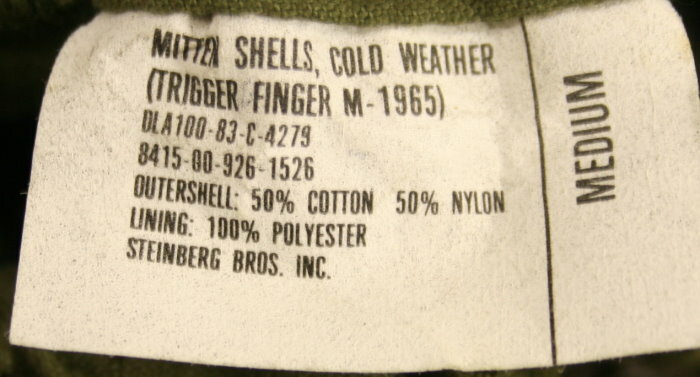 The mitten inserts are 70% Wool and 30% Nylon - WARM!!! Authentic USA Military Issue - NEVER worn! The color is olive drab and a tanned yellow leather area on outer shell.